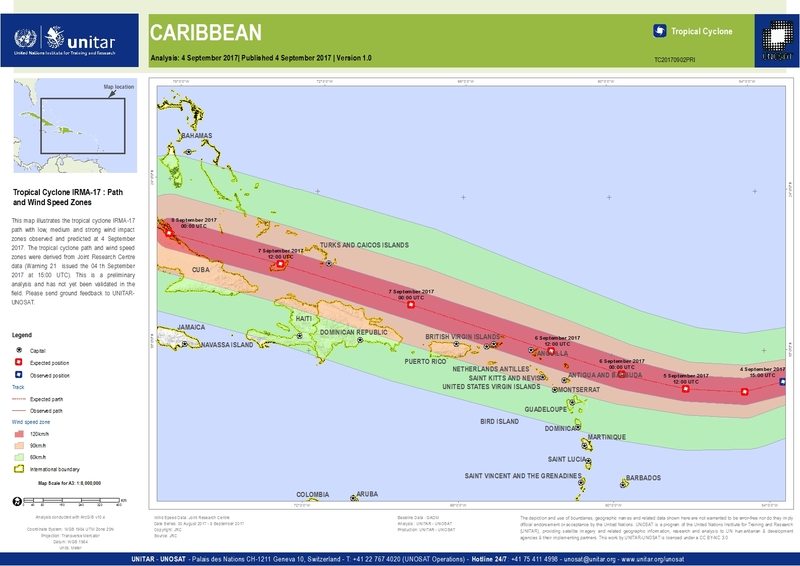 This map illustrates the tropical cyclone IRMA-17 path with low, medium and strong wind impact zones observed and predicted at 4 September 2017. The tropical cyclone path and wind speed zones were derived from Joint Research Centre data (Warning 21 issued the 04 th September 2017 at 15:00 UTC). This is a preliminary analysis and has not yet been validated in the field. Please send ground feedback to UNITAR-UNOSAT.